The ocean is a source of constant waves, making Tofino a surfer’s cold paradise. That’s right. Even in the middle of winter, some devoted surfers don thick wetsuits and catch a wave along Tofino’s stretch of beaches. It’s funny because the blue sky, the sand and the warm sun make it seem like Tofino could be located in the middle of the Caribbean islands. But then you realize, it’s not actually that warm and the ocean isn’t a dazzling bright blue, but a foamy, rough grey body of water. I see why people love it here. 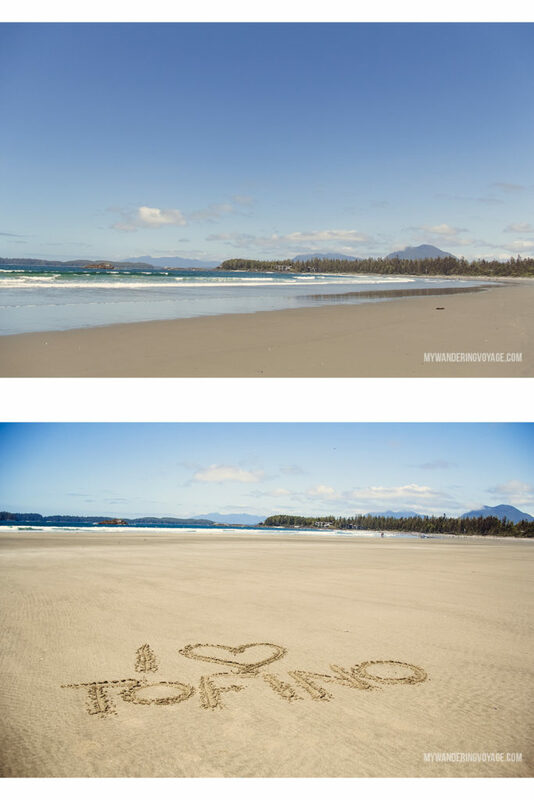 Tofino is a small coastal town at the western edge of Vancouver Island. 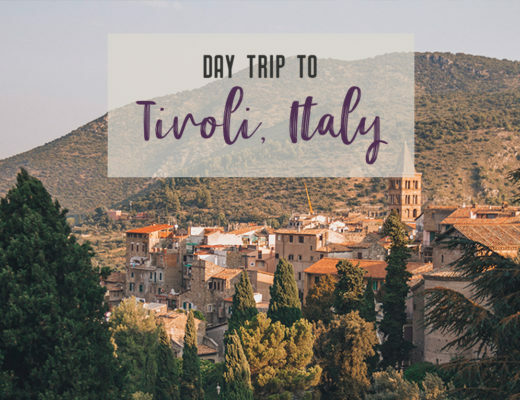 It’s surrounded by water on three sides, meaning there’s only one way in and out of town. 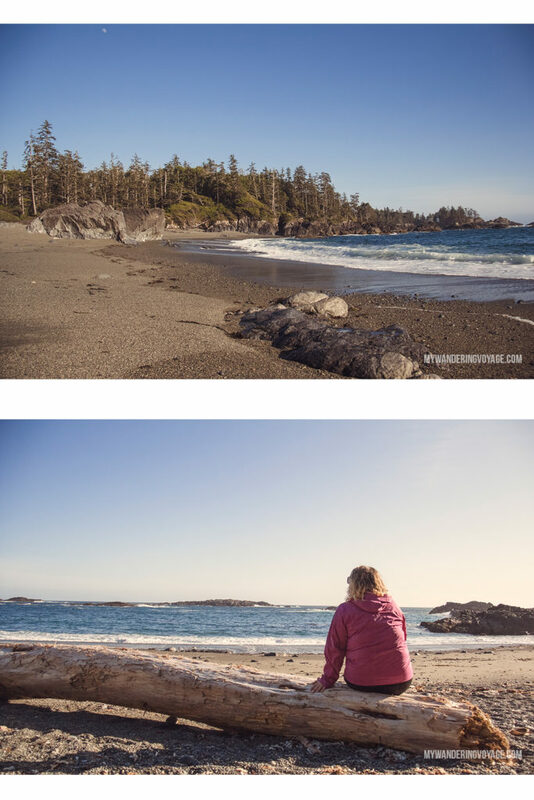 To the south, is Pacific Rim National Park Reserve and further fourth to that is the other coastal town of Ucluelet. 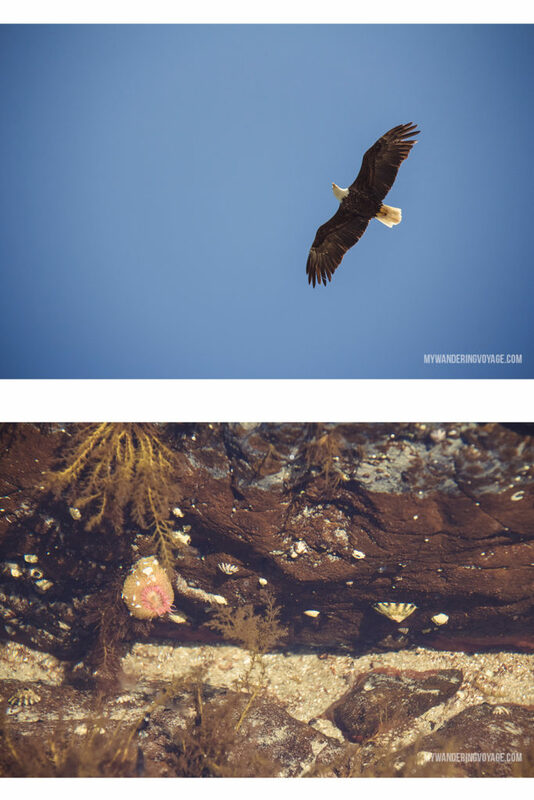 Tofino is also a jumping off point for those wanting to explore the wildlife of British Columbia. 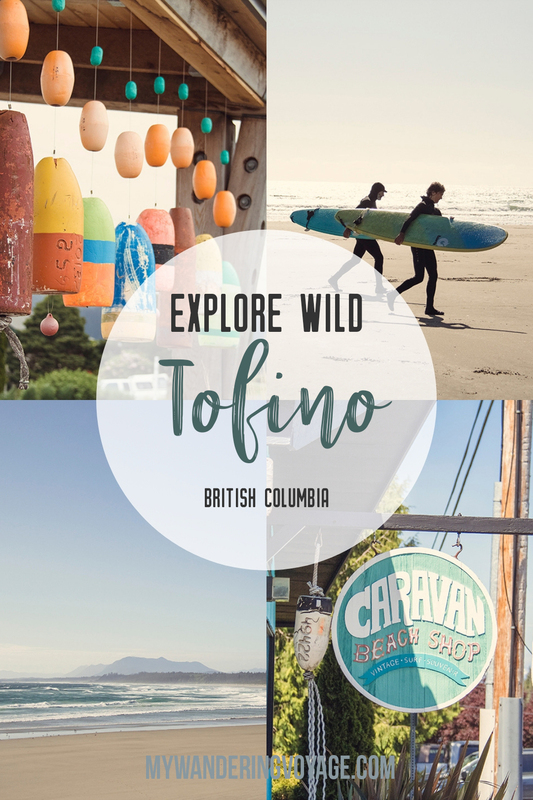 Whether you’ve come here for the surf or the wildlife, Tofino is an excellent place to feel like you’ve fallen out of civilization and into the wilderness. I think that’s what I love so much about it. 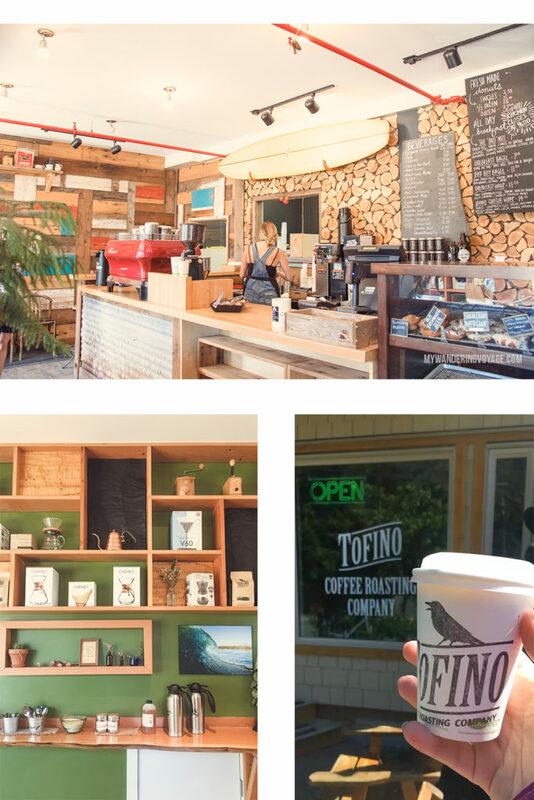 It’s a small town with delicious eats and cool cafes, but what I enjoyed most about Tofino is the adventurous culture that helped it become a top destination for travellers. The small town is made up of about 2,000 regular residents. 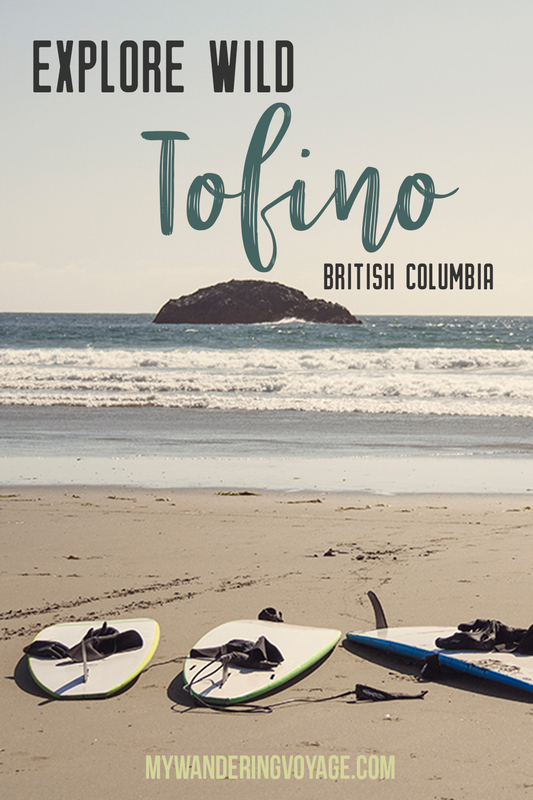 Located at the very end of a long peninsula and surrounded on three sides by water, Tofino can feel very isolated. In reality it is; the next nearest town is Ucluelet. Past that is Port Alberni, which is a couple of hours drive away on a road that twists and turns. Highway 4 is a white-knuckled, slow-moving highway, but damn the scenery is gorgeous. If only I can take my eyes off the road – wait please don’t. 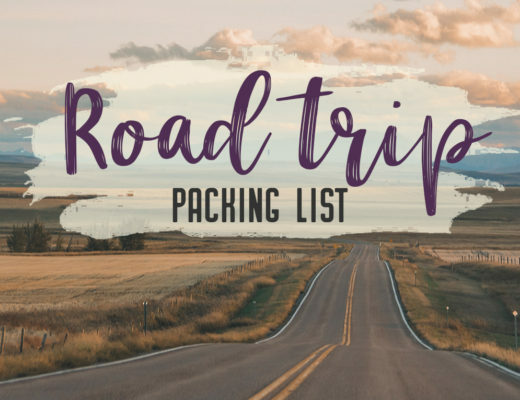 Tofino is also accessible by plane and boat, but the easiest way to get there is by car. 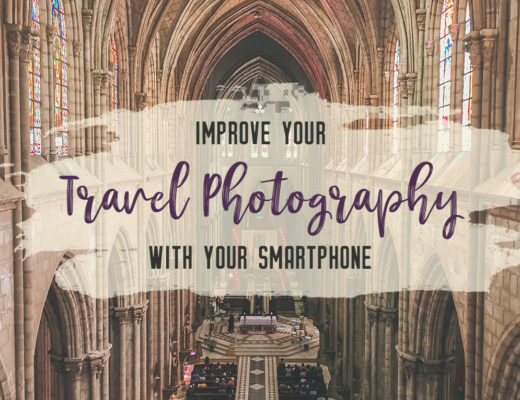 Don’t forget to bring along a guide – like this great one from Lonely Planet. The small town of Tofino overlooks the Clayoquot Sound. Here you can dive into some of the delicious restaurants and cafes. Try the Tofino Coffee Roasting Co. or Rhino Coffee House for a cup of joe. For something more filling, try the Wolf in the Fog, Sea Monster Noodle Bar or Ice House Oyster Bar for a place to dig in. Tofino is great for visiting year round. 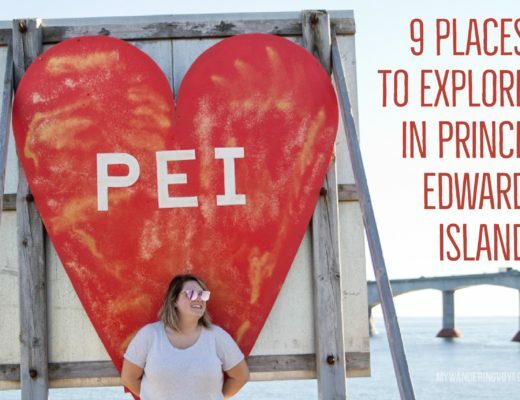 It’s home to some incredible festivals like Queen of the Peak, Pacific Rim Whale Festival, Tofino Food and Wine Festival, Tofino Lantern Festival, Rip Curl Pro Tofino and many more. 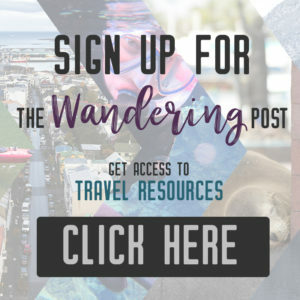 In town, be sure to check out The Whale Centre and Jamie’s Whaling Station, where you can learn all about the Tofino and Clayoquot Sound ecosystem. There are also many shops to peruse. I suggest Caravan Beach Shop and Mermaid Tales Bookshop to get unique souvenirs. 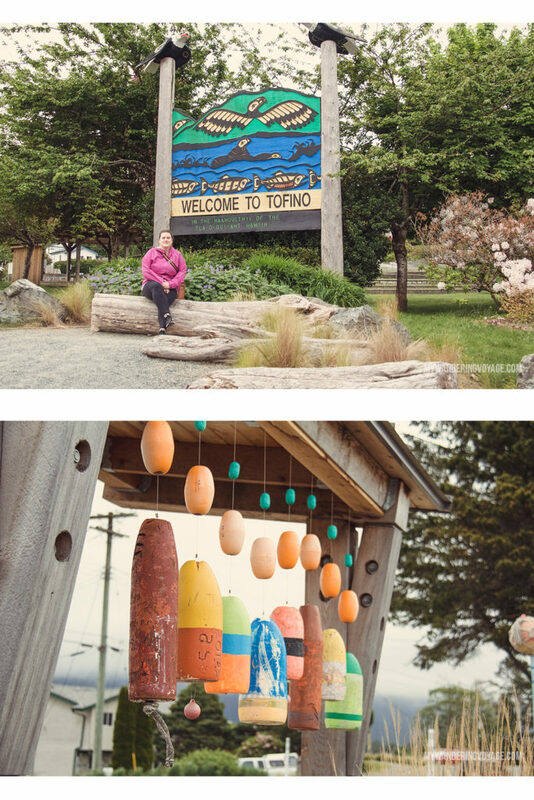 Stop at the Village Green and take a picture with the Welcome to Tofino sign – I mean, who doesn’t love that!? Going to the beach in Tofino means going to Chesterman Beach. This several kilometre-long smooth, sandy beach is a sight to behold. It feels like the sand goes on forever. At low tide, you can explore the tide pools, and there’s always a couple of surfers here riding the waves. A little further along is Cox Bay Beach, home to the best surfing on the west coast. Even further is Long Beach and Wickaninnish Beach, which are both is Pacific Rim National Park Reserve. 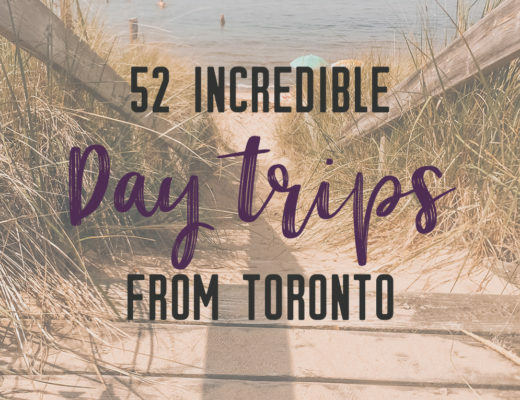 It’s incredible that this rugged landscape is home to some of the best beaches in Canada. 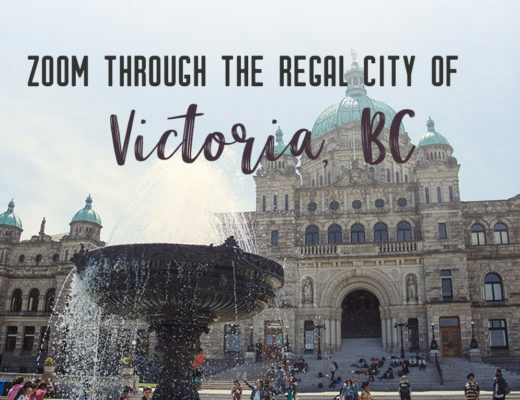 It’s a gem that anyone visiting the West Coast should experience. 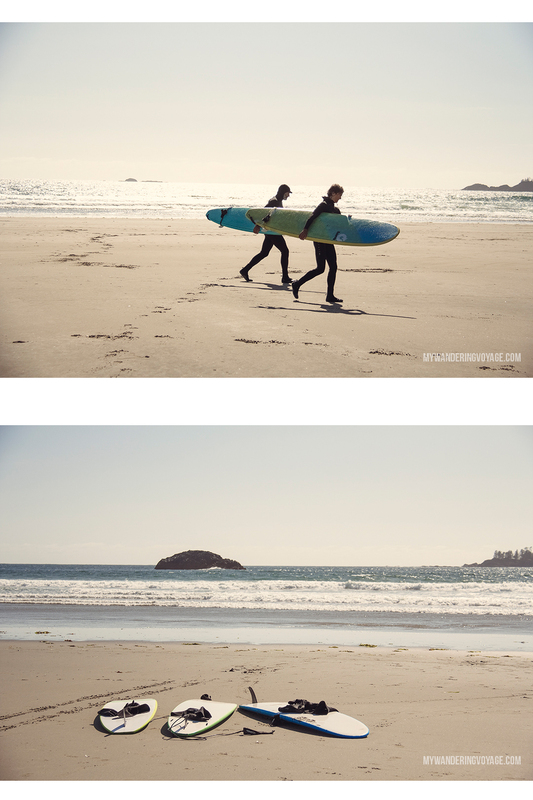 If there’s anything that you have to do in Tofino is grabbing a board and hitting the waves. If you’ve never surfed before, then you’ll want to take a lesson (or more), so you’re up on all the safety tips. The ocean is not someone you want to mess around with, especially in Tofino. Just a few days before arriving, a woman tragically died while surfing at Long Beach. There was also a high wind warning, making the waves larger than average. But don’t let that scare you. I mean, heck yes, I was nervous about getting out on the water, but I would have been so disappointed with myself if I didn’t go. The waves are pretty steady all year round, and in the dead of winter, you’ll see people with their thick wetsuits catching waves. Luckily, summertime also offers excellent surf, and several surf shops will gladly teach you how to surf. There are so many surf shops in Tofino that you can have your pick with which one will fit you best. After researching thoroughly, I chose Surf Sister for my first time surfing adventure. Not only do I love their model for teaching, but I connected with the owner’s story. 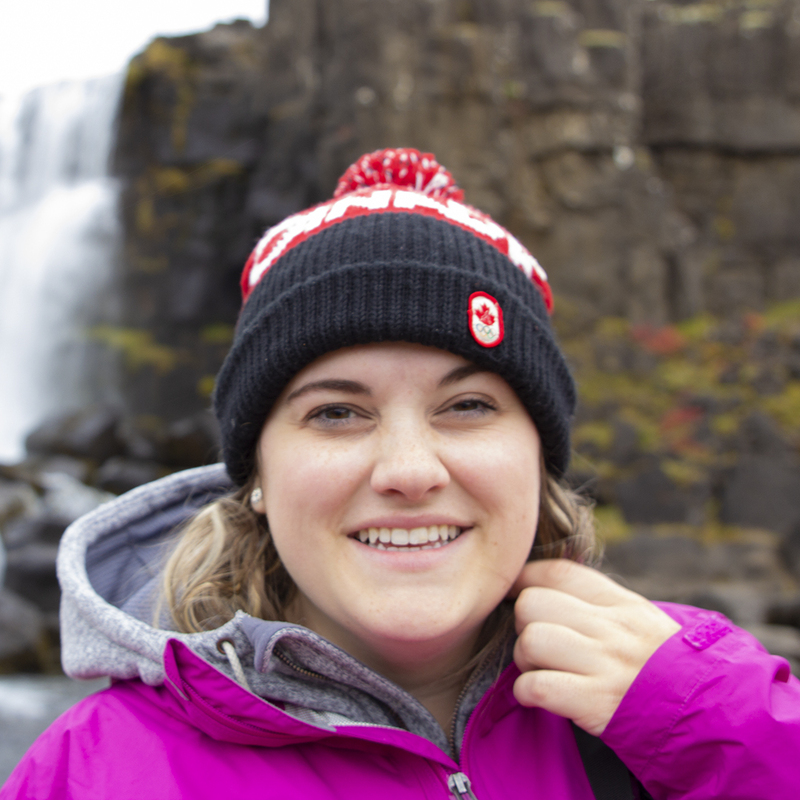 She wanted to have a shop that helped female surfers make their mark in Tofino. And get this – she succeeded. Surf Sister is a popular shop in Tofino, and their instructors are absolutely incredible. I had never surfed before, and they took their time to help us understand the basics. I had a freaking blast, and the feeling of almost weightlessness as the wave catches your board and takes it – and you on it- to shore. What a thrill. 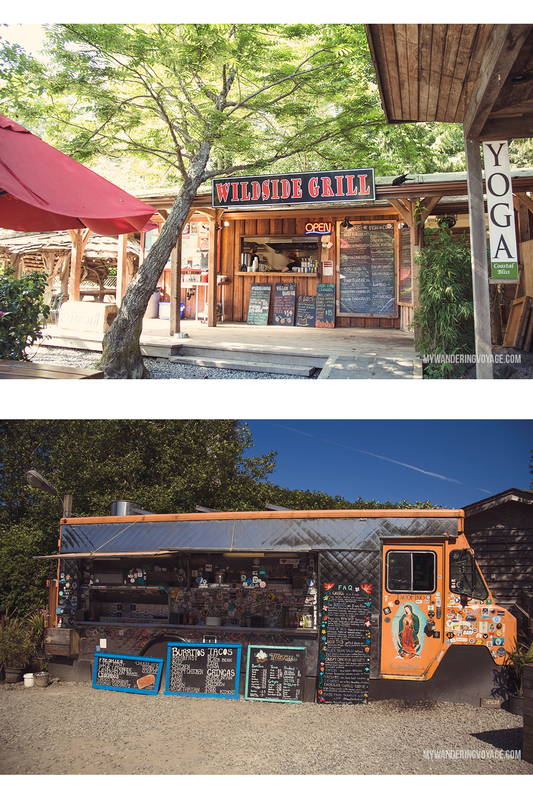 Developed close to Chesterman Beach, Outside Break is a surfer’s village complete with shops, food kiosks, and a grocery store. 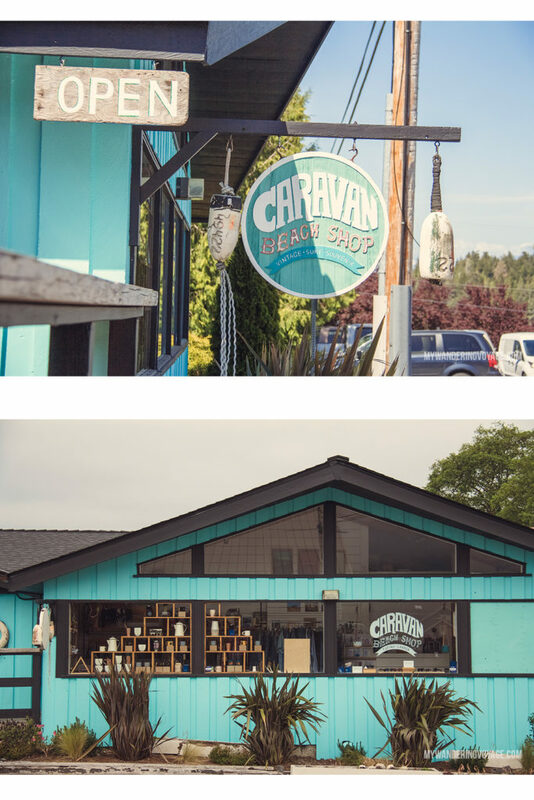 Here you’ll find cute shops like Chocolate Tofino, Groovy Movies and Bike Rentals, Sol Maya Glass Blower, and many more. 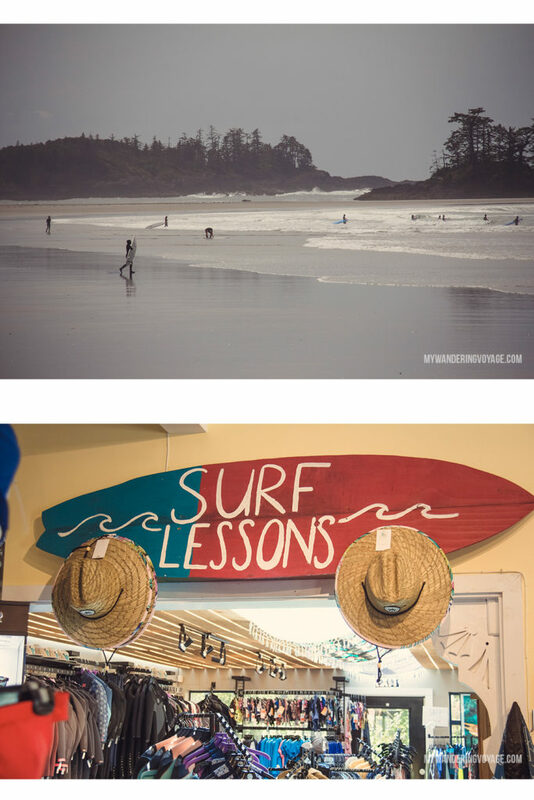 This is where Life to Surf, the original Tofino surf shop, started back in the 80s. 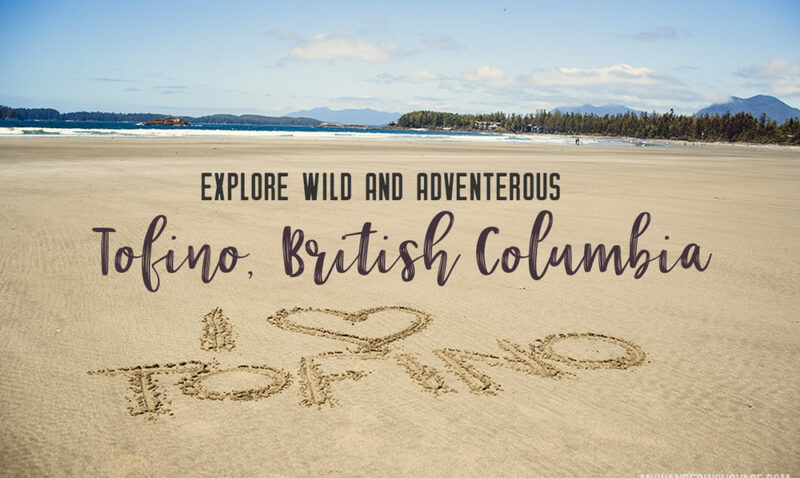 Make sure to check out Tacofino Cantina – the original Tacofino which sparked a delicious taco movement into Vancouver. If you’re not full from tacos, then also get some fish and chips at Wildside Grill. Honestly, the best goddamn fish and chips I have ever tasted in my life. This remote hot spring is only accessible by boat or seaplane. 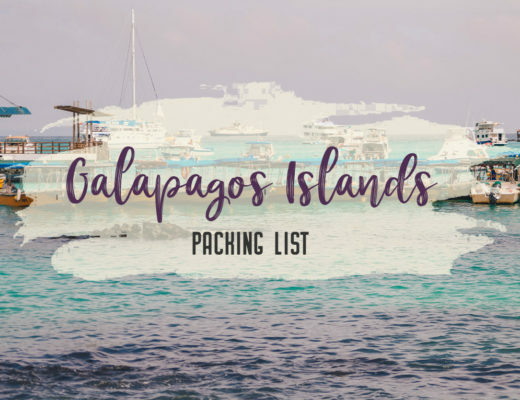 It takes about an hour and a half by boat or 20 minutes by seaplane. Once there, you can follow the boardwalk and ease yourself into one of the many naturally heated pools. Experienced hikers can check out the Lone Cone Trail that takes you to new heights, looking out over the Clayoquot Sound. Or try the Wild Side Trail on Flores Island. For a hike closer to town, try the Tonquin Trail, which leads you from town to Tonquin Beach then onto Third Beach and Middle Beach. 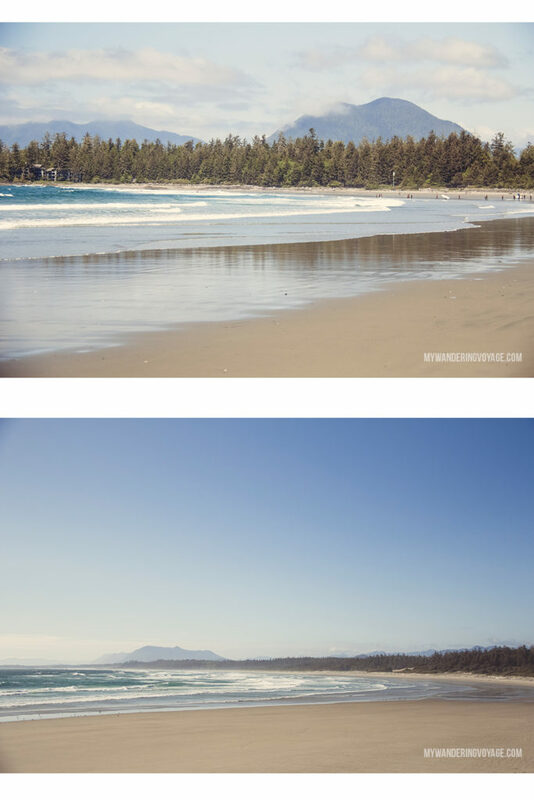 Tofino’s Multi-Use-Path, or MUP for short, runs six kilometres from town to Cox Bay Beach. It’s frequently used by surfers carting their boards on bicycles. There are no high-rise hotels in Tofino; most places are small resort-type accommodations or bed and breakfasts. After staying in hostels during my 10-day trip through British Columbia, I thought I would splurge a bit with a stay at Wya Point Resort. Located just north of Ucluelet, and about 30 minutes south of Tofino, Wya Point Resort is a pristine lodge and campground owned and operated by Ucluelet First Nation. There are four types of accommodation – RV sites, camping sites, yurts and lodges. I stayed in a yurt – a type of tent/lodge hybrid. I’ve stayed in yurts before, mostly winter camping in Ontario, but this yurt was pure luxury. A bed, an electric fireplace, a skylight, blankets a barbecue, deck, kitchen supplies and a view that would knock any competition out of the water. 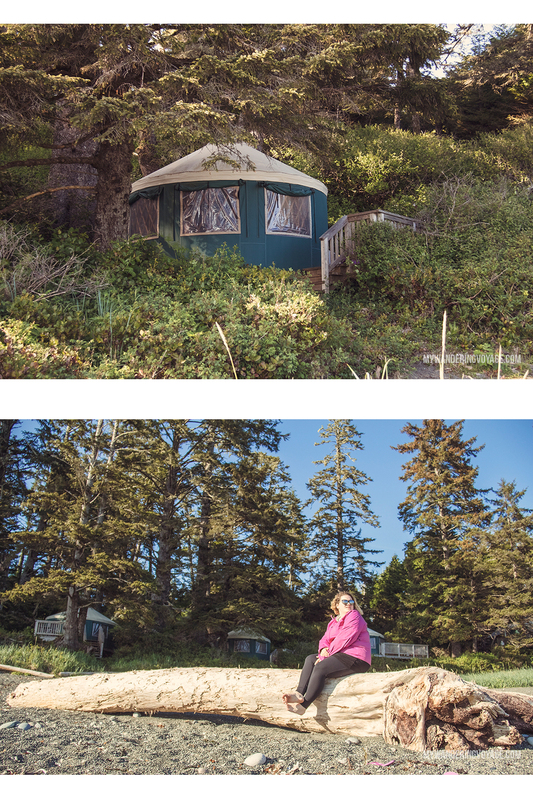 The yurts are just steps away from the ocean on their own private beach. There are no washrooms within the yurt, but it’s a short walk to a comfort station with individual washrooms and shower – all clean and homey. Wya Point is built sustainably, and you feel that here. 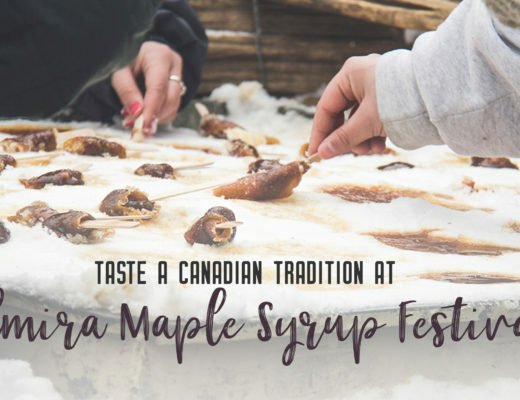 “We believe in minimal impact to the land and embracing our past to respectfully share traditional knowledge with future generations,” says their website. Don’t expect to get great service here, or to charge your electronics. The yurts come equipped with a battery generator to run the lights, and that’s it. I felt so relaxed and so small in the universe staring at the stars and listening to the ocean beat against the shore. So disconnect from the world and relax at Wya Point Resort. Whatever your adventure, it’s in Tofino, British Columbia.